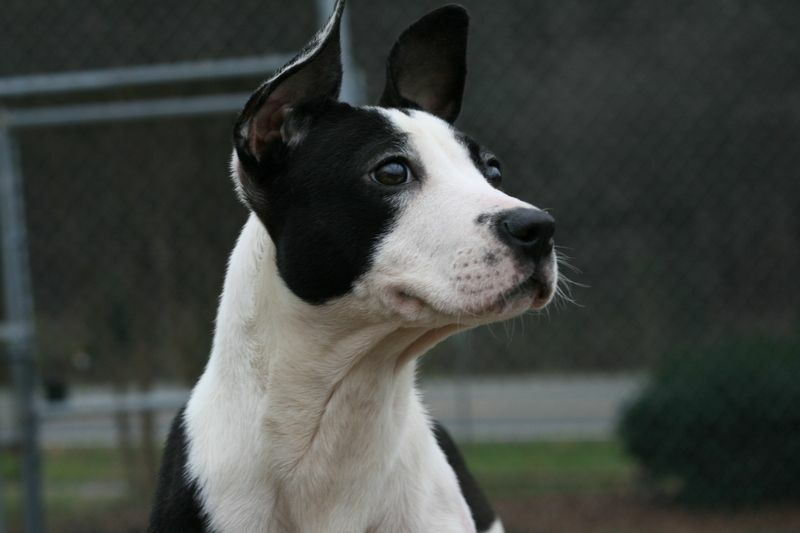 Featured Dog: Marigold – ADOPTED! 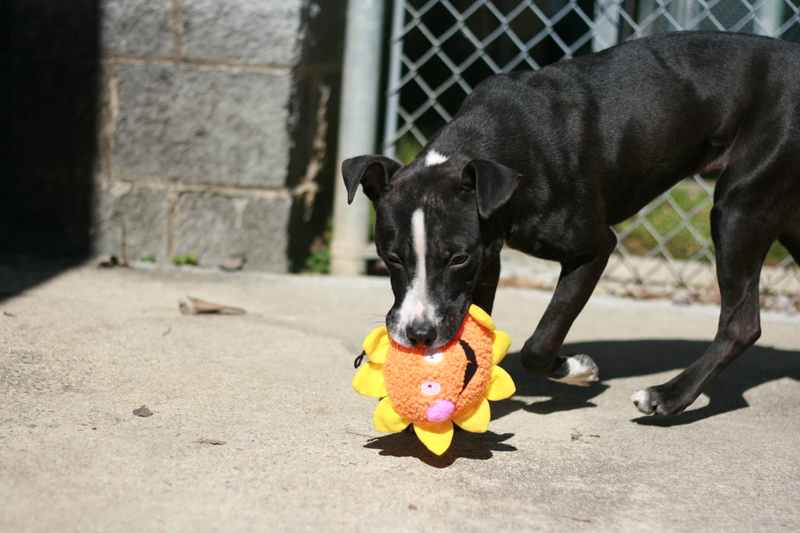 Marigold is a ball-catching superstar who loves sports and spending time with her shelter friends, especially if they like to teach her new games. A perfect day for this smart girl includes going for a jog or playing ball, rolling around in the grass for a while, stopping by a training class, then snuggling up for a nap on your lap. She’s been learning a lot of cool stuff at the shelter like some impulse control games and leash walking. She’s a very clever girl and would benefit from additional training to burn some mental energy and keep her from boredom. 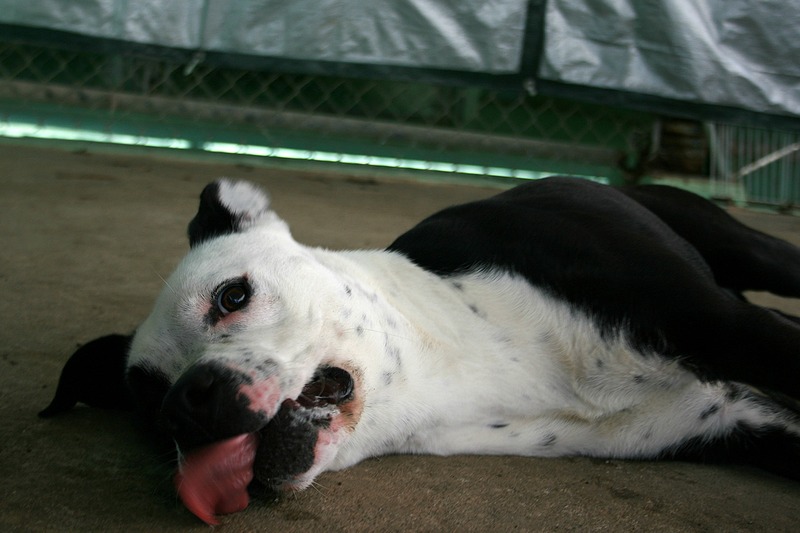 Marigold has been at the shelter for too long and could use a home where she can let herself relax and just be a dog. 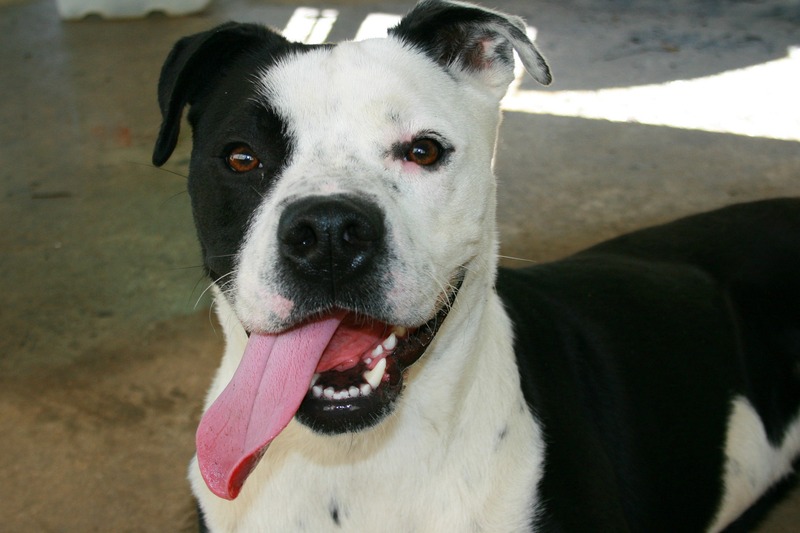 She needs a family who can commit to her and see the potential of this wonderful girl when she is overenthusiastic. 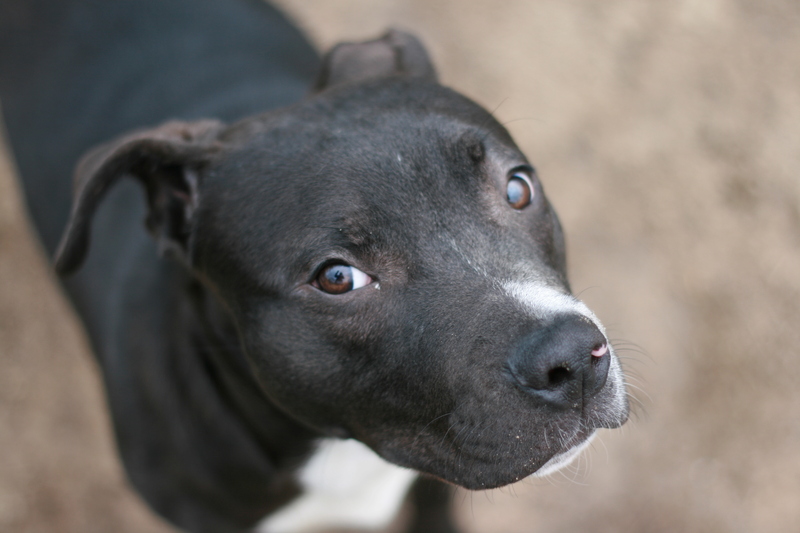 If you are interested in Marigold, please come visit her in Kennel 28. 2117 E. Club Blvd Durham, NC 27704. You can also call 919.560.0640 for more information. Meet Shasta! She’s just a big pup who loves to run and play. She really enjoys her walks and playing with toys but her favorite thing to do is to run and play with her dog friends in the yard. 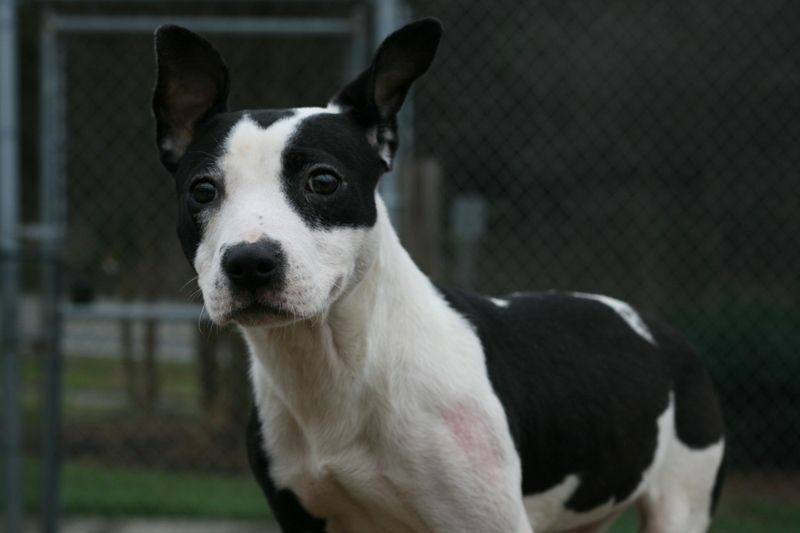 Shasta is still young, a little under a year old, and that means she has lots of energy! But this clever girl has great impulse control and is very food motivated so training will be easy and so much fun! 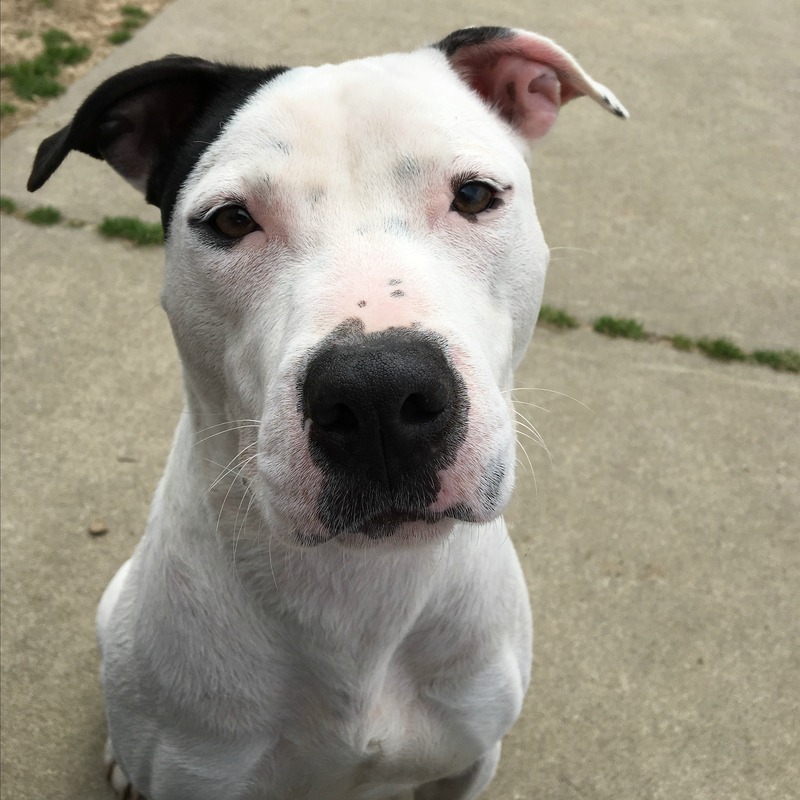 All in all, this sweet girl would flourish in a home where she can get some positive training, a lot of exercise and tons of love. 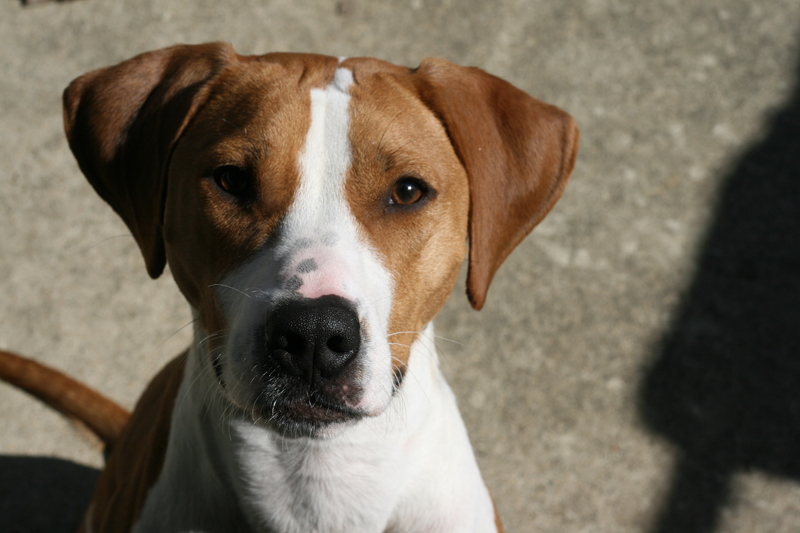 Featured Dog: Hazel – ADOPTED! This lovely lady is Hazel. She’s a calm, adult dog of 2 years old. She is one of our playgroup superstars and loves to chase and play with her friends. She enjoys other dogs but I’m sure she would love to be a spoiled only dog too. She already has a nice sit and attention. She enjoys learning new things and picks them up very quickly. She also loves the hot dogs I had with me so training will be great fun! 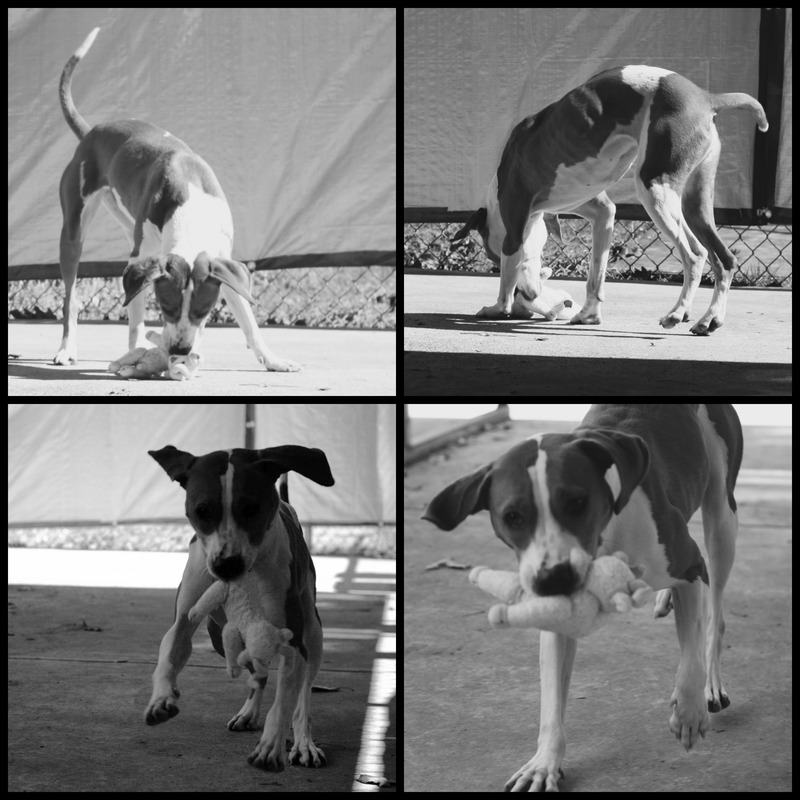 Hazel loves to play and, as you can see, squeaky toys are her favorites. She also enjoys a walk. She’s a hound, after all, and she needs to give her nose a workout too. If you are interested in Hazel, please come visit her in Kennel 39. 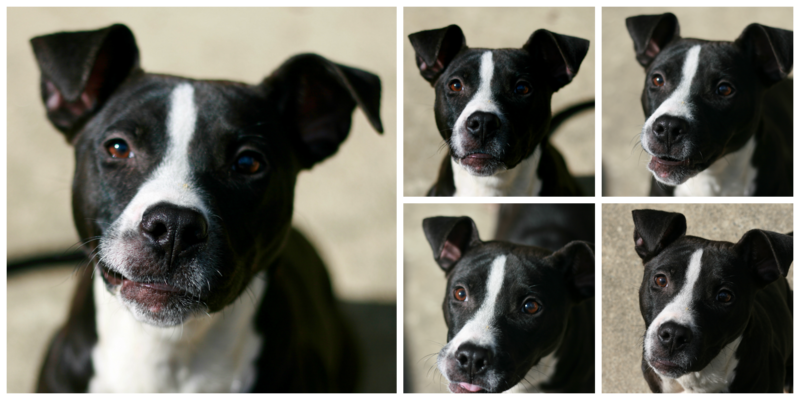 Featured Dog: Gina – ADOPTED! Gina is a fantastic pup of about 6 months old. She is just as sweet as she is cute. And look at that nice sit and attention! 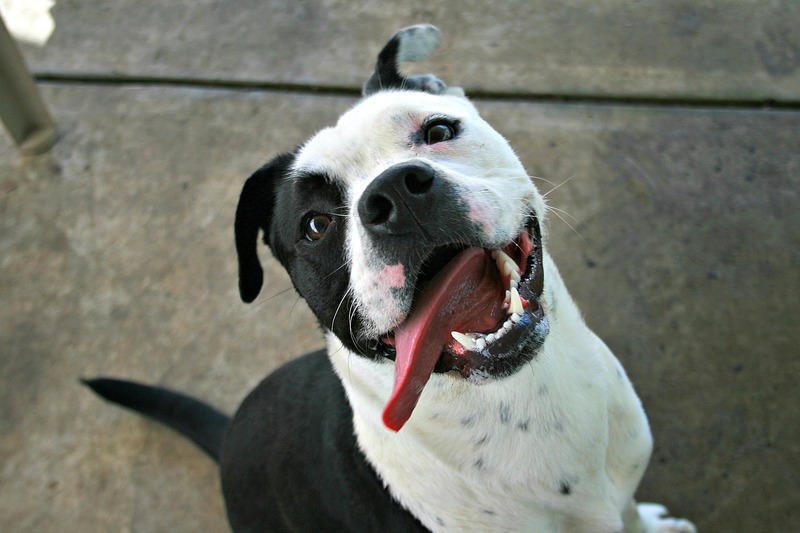 This playful girl is happy to get a game of fetch going. She could also snuggle on your lap. She’s just happy to have a pal. One of our playgroup dogs, Gina would love to have another dog to pal around with. As long as she gets lots of attention, she could be a single dog too. 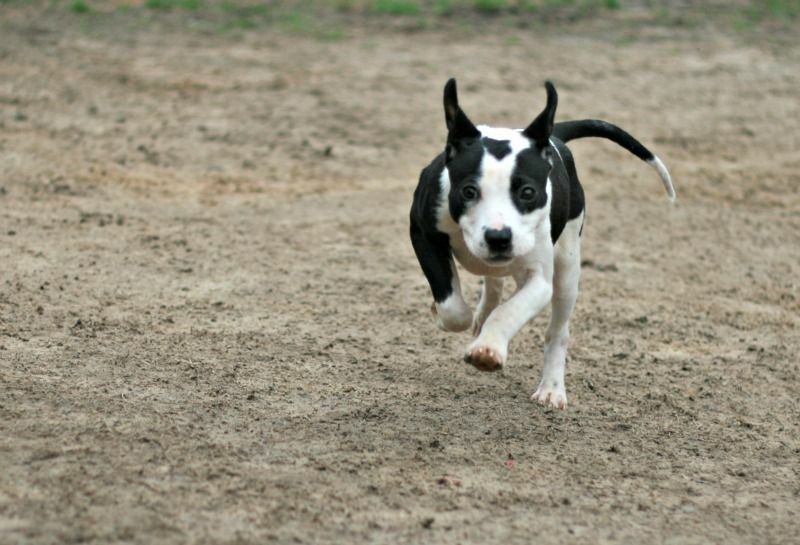 She’s pretty clever and loves treats and praise so training her will be a lot of fun! If you are interested in Gina, please come visit him in Kennel 5. If this puppy looks familiar, it’s because it’s Andrea’s littermate, Amos. He’s a little bigger and braver than his sister but he’s still all puppy. He loves to play with toys, notsomuch a tennis ball, and he likes treats. A little too scrambley for lap snuggles, Amos is pretty independent. Would you just look at that face? He’s a heart stealer, for certain. The grey mottling on his cheeks and in his patches is very unusual. Just one more reason why he is special. You know I’m going to say he’ll blossom with positive training. It’s important for puppies to get a good foundation to set them up for success. Amos is very attentive and responds well to happy voices. He’ll be at the top of his class, for sure. 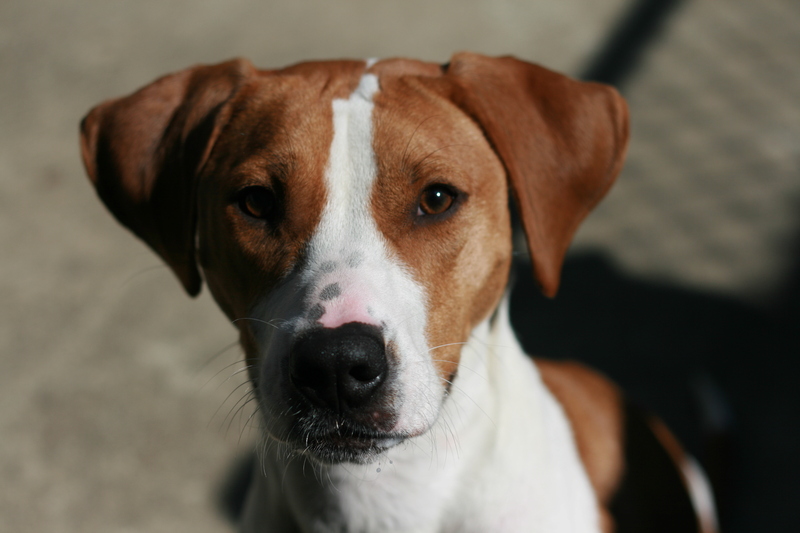 If you are interested in Amos, please come visit him in Kennel 34. 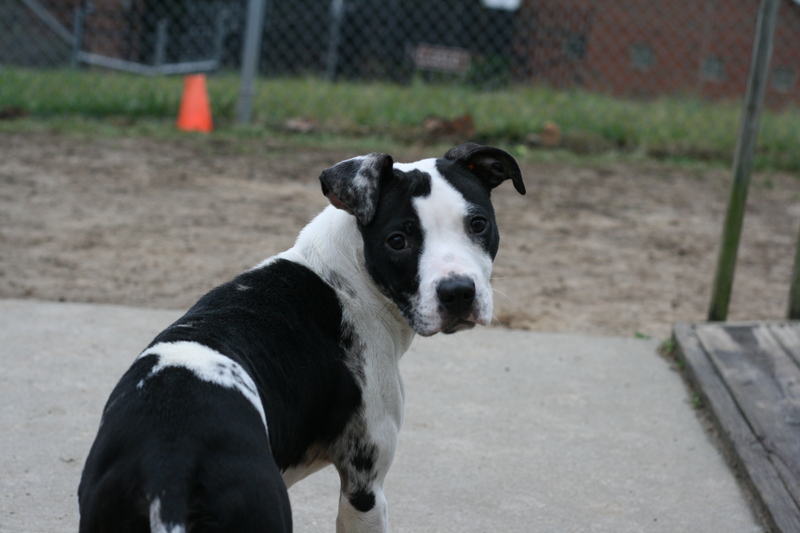 Randolph is a sweet, curious pup of about 6-months. He’s trying to figure out my camera (so am I!) but he’s not afraid! He’s learning that good things come to dogs who sit nicely and wait and he’s building confidence every day. Like all of the puppies at the APS, he will benefit greatly from some reward-based training. 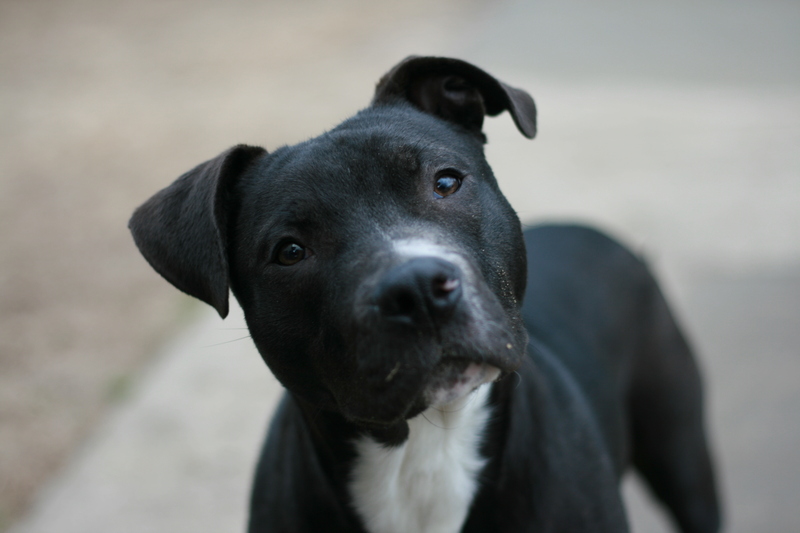 He’s easy to keep engaged and enjoys treats so it should be so much fun to teach him everything he needs to be a HUGE SUCCESS. He loves people and enjoys attention from his friends at the shelter. He has a lot! And such a happy fella. All he wants to do is play, play, play. What a joy to watch! 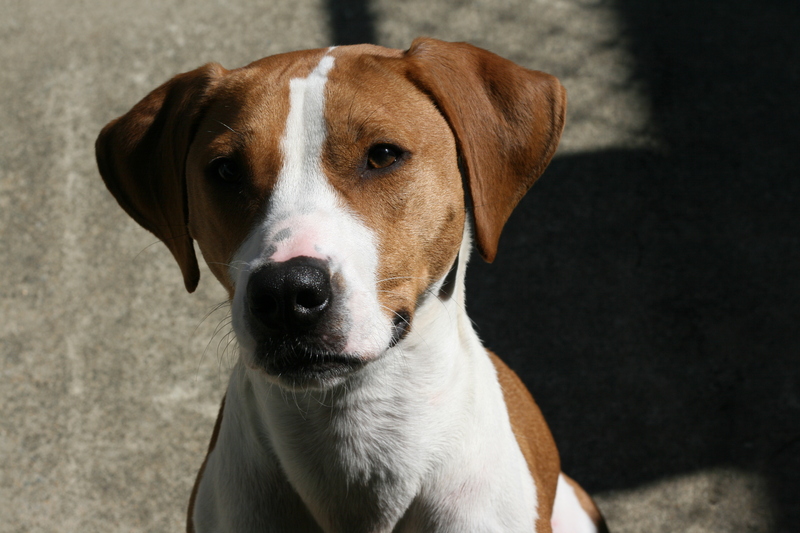 If you are interested in Randolph, please come visit him in Kennel 10. This sweet little one is Andrea. She came to the shelter as a wee tiny pup with her brother, Amos. They are getting so big and they are ready to see the world outside of the shelter! Andrea is incredibly snuggly. She loved to just hang out in my lap getting tummy rubs. She is a little cautious of new things and needs someone to show her the ropes. But she loves to play too. Sometimes she gets the zoomies. 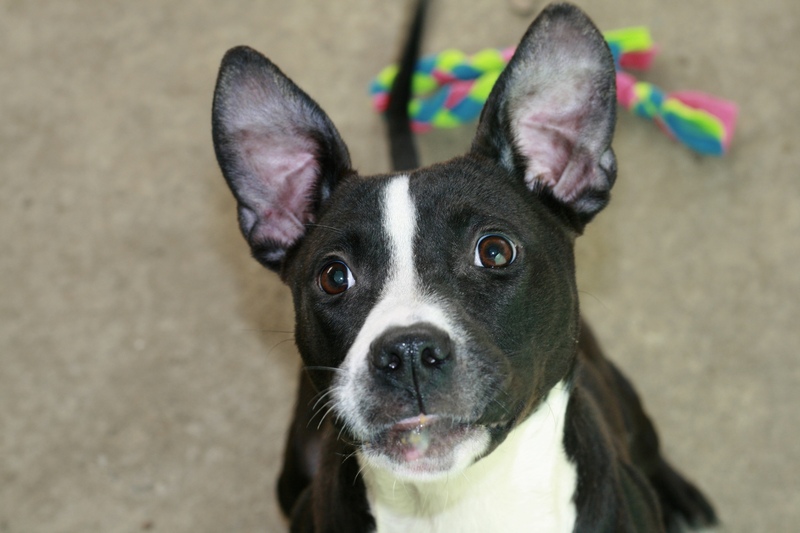 Andrea is very attentive and loves treats so I’m sure she would be a puppy class superstar! 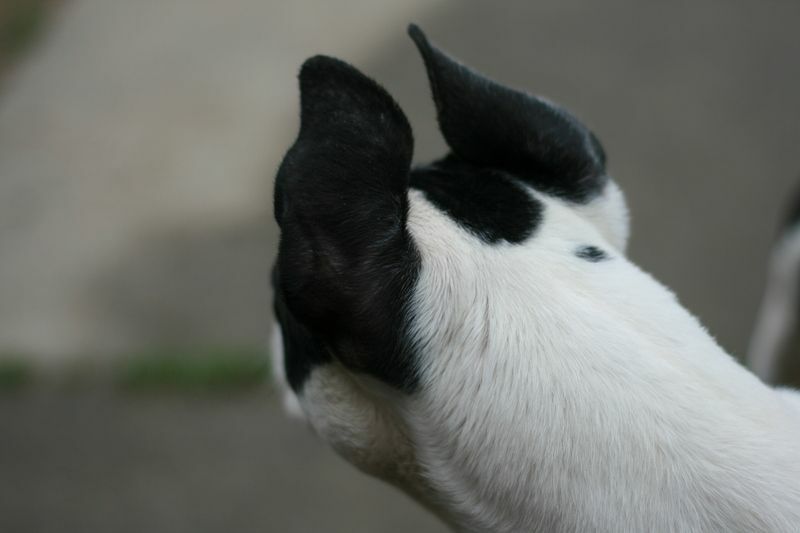 And don’t you just love the way she wears her ears? Just as cute from the other side. If you are interested in Andrea, please come visit her in Kennel 16. 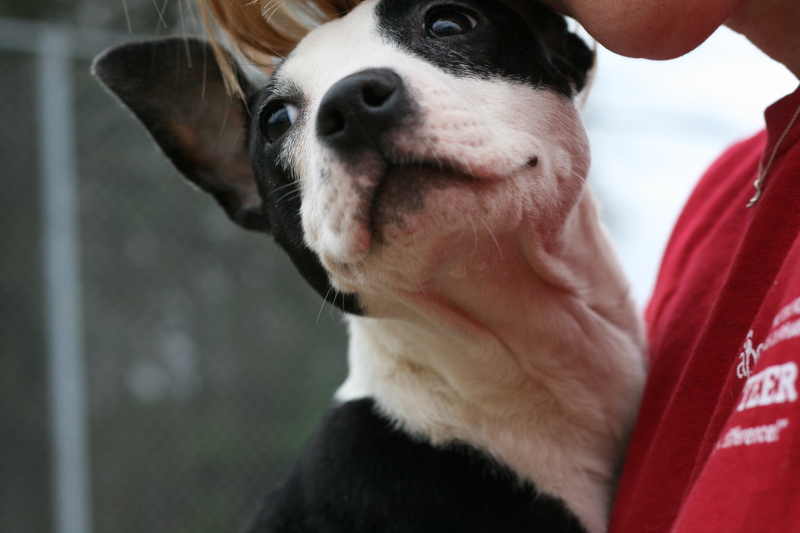 This blog is about the wonderful dogs and puppies I work with at Animal Protection Society of Durham. 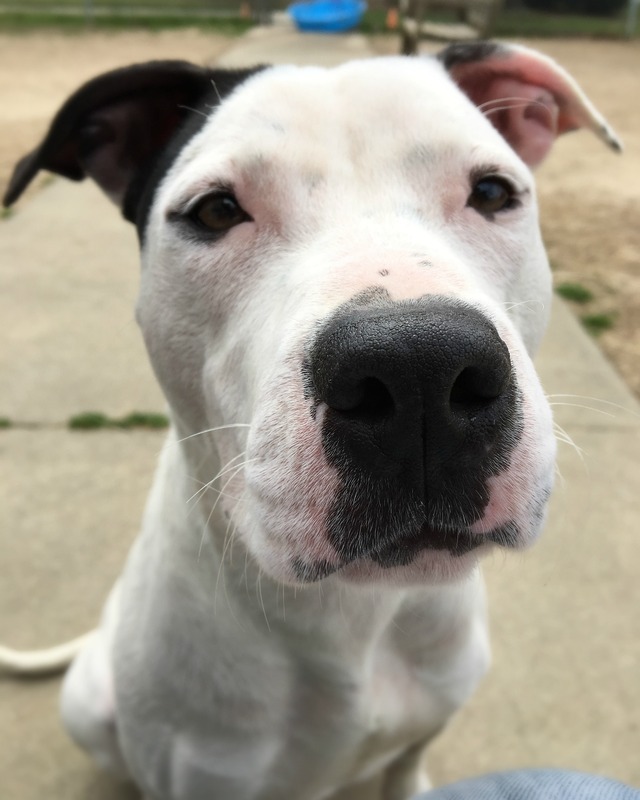 If you are interested in adopting any of the dogs, please visit the shelter at 2117 E. Club Blvd Durham, NC 27704 or call at 919.560.0640.